Thumbay Medical & Dental Specialty Centre, Sharjah (previously known as GMC Medical & Dental Specialty Centre, Sharjah) is a constituent unit of Thumbay Group, a full-fledged multi-specialty Centre with world-class ultra-modern facilities providing quality healthcare at affordable prices, rendering quality service to the community for more than 7 years. 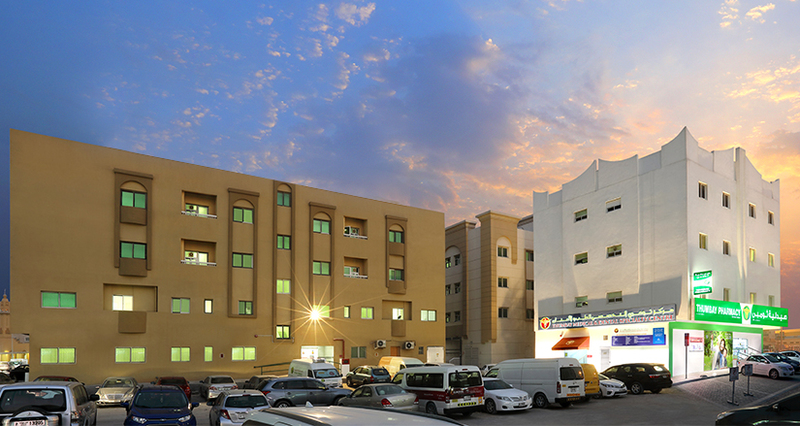 This center also supports clinical teaching activities of the Dental College of Gulf Medical University. The Centre has a facility for outpatients, pharmacy, radiology and a laboratory, benefiting patients from the area. The Centre is equipped with various specialty departments & services supported by highly qualified and experienced doctors, a strong team of Nursing, Paramedics & Technicians.